This is a translation of an Azattyq article by Нұртай Лахан that was published this past May. It is translated here by Gene Bunin for documentation and “broader consumption” purposes. An additional two Kazakhstan citizens have recounted how they were detained and forcefully placed in so-called “political re-education centers” in China. According to Orynbek, he only completed two years of grade school in Xinjiang, after which he didn’t go to school anymore and grew up in livestock-raising areas. He doesn’t know any Chinese, and cannot read or write well. According to Orynbek, the police in Xinjiang tricked him into coming to the station, from where he was immediately sent to a “political re-education center”. At the time, he thought that he was being sent “to a school”. The employees at the center started by showing him photographs of his relatives, starting with his parents, and asking him about them. 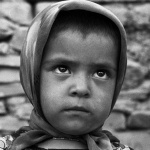 Over the past several years, the Xinjiang Uyghur Autonomous Region, a province [sic.] in western China that is home to both Kazakhs and Uyghurs – the two relatively large ethnic groups – has seen an increase in inspections and mass arrests among the local population. Beijing worries about Uyghur separatism and religious extremism in the region, and has taken various measures to strengthen security. Meanwhile, both Uyghur activists who have fled abroad and international human rights advocates complain of China’s hardline policies, which they say limit the ethnic minorities’ political, cultural, and religious freedoms. In recent years, ethnic Kazakhs have also started to report facing repressions and restrictions in Xinjiang. Among them are Kazakhs who have immigrated to their historical homeland from China and who have been granted Kazakhstan citizenship. They were detained during trips to Xinjiang. Orynbek, who lives in the Urzhar selo, originally told Azattyq that he was worried about giving interviews. He said that the Chinese police had him, as part of his release, sign a nondisclosure agreement regarding what he experienced, and threatened that he’d be taken from Kazakhstan and put in jail for five years if he talked about it. While visiting relatives in the Almaty area, however, he agreed to meet with an Azattyq reporter in the town of Kaskelen on May 21 and give an interview. According to Orynbek, the police staff at the “political re-education center” in Chochek “made him remain standing for 24 hours straight” on his first day there. They demanded that he learn Chinese and Party songs. 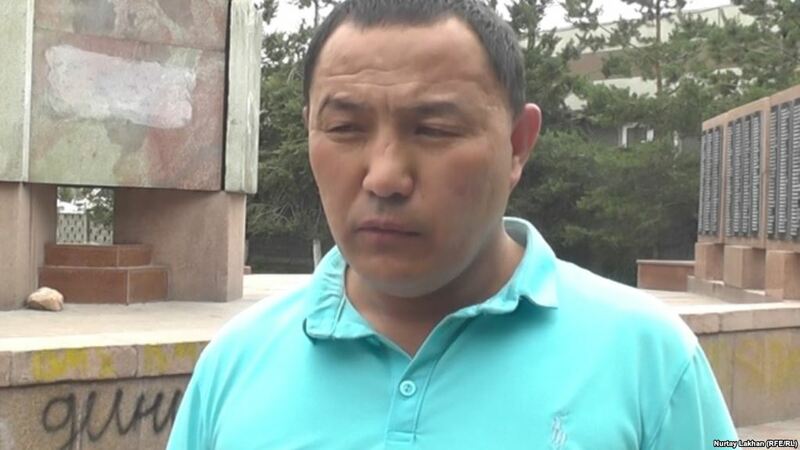 Orynbek Koksebek recounts how the Chinese guards “threw him into a deep well and dumped ice-cold water on him, causing him to faint until his body eventually became used to the torture”. He said that he doesn’t want to recall this experience. According to Orynbek, his suffering did not end there. He had no choice but to use the Arabic script to write down the lyrics to Chinese-language Party songs and to memorize them. The staff at the “political re-education center” would force him to listen to a song, in Chinese, performed by the popular Kazakhstan singer Dimash Kudaibergen. Orynbek Koksebek says that he left the “political re-education center” in Chochek on April 13, 2018 [translator’s correction: April 12]. No independent sources in China have been able to confirm his account. No relevant information has been provided by the Chinese embassy in Kazakhstan either. Azattyq asked the Chinese consulate in Almaty for comment on May 22, but was not given a reply. Almaty resident Aman Zhanseyit, another Kazakhstan citizen who was detained in the same “political re-education center” as Orynbek Koksebek, says that he was interned for over 50 days. 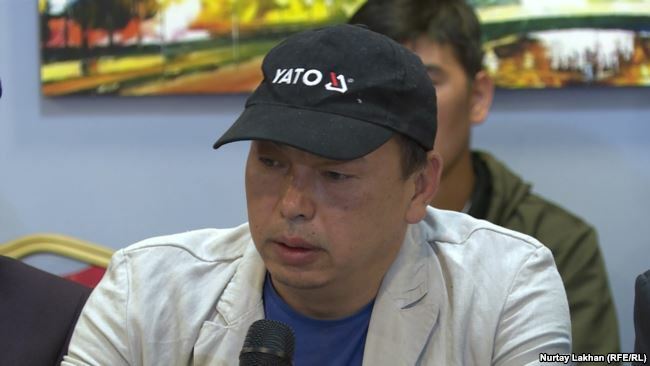 Kazakhstan citizen Aman Zhanseyit, who says that he spent nearly two months in a camp in China. On May 22, Aman was invited to partake in a round-table discussion held by the youth activist group “Atazhurt” at Almaty’s “Kazakhstan” hotel. During this meeting, those who had been released from China’s “re-education centers” expressed their gratitude to the media outlets that wrote about them and to Kazakhstan’s Ministry of Foreign Affairs (MFA). According to Aman, the Chochek police then interrogated him for three days, asking him about his profession and asking him what his relatives did. “After four days, I was taken to an education center [political re-education center],” Aman says. “I barely made it out of there 53 days later. We would sing the national anthem before breakfast, lunch, and dinner. The uncertainty was the worst. We didn’t know when we’d get out – if it’d take one year or two. No one could say. I kept telling them that ‘I have four kids in Kazakhstan and that it’ll be hard for them without me there’. They’d reply and say that my kids would survive without me. Every two weeks they’d summon me for a chat. Aman says that in addition to housing local Xinjiang Kazakhs, the political education centers also had Kazakhs who had immigrated to Kazakhstan and obtained residence there, only to later be detained while back in China. News of repressions against Kazakhs in China have been coming in since the April of 2017. The issue was also raised last year at the World Congress of Kazakhs in Astana. An ethnic Kazakh from Germany, Omirkhan Altyn, brought up the issue and pointed it out to Kazakhstan’s president, Nursultan Nazarbayev. At that time, Nazarbayev instructed the MFA to sort out the problems faced by Kazakhstan citizens. The ministry has, from time to time, commented on the repressions directed at Kazakhstan citizens and local ethnic Kazakhs in China. The MFA has also said to have issued a diplomatic note to Beijing and to have held talks with the Xinjiang authorities regarding the Kazakhstan citizens detained there. Written inquiries on the issue sent by Azattyq to the MFA and the Chinese embassy in Kazakhstan over the past few months have gone unanswered. Nurtai Lahanuly was born in 1973. He graduated from the Department of Philology of the Al-Farabi Kazakh National University in 1998. He has worked for the Kazakhstan Zaman paper as well as for Kazakh radio. He has been working at Azattyq since 2010. Next PostHow is Abdukerim Rahman surviving without his books?